Basement flooding can be brought about by various factors aside from just rain. In this article, your preferred foundation repair company, Stratum Structural Systems, talks about five of the most common reasons behind a flooded basement. The site where your home is constructed plays a vital part in determining whether your basement will be prone to flooding or not. Houses are typically built on sloped lands to allow for water to drain. Proper water drainage is not possible for homes built on low-lying terrains, resulting in flooded basements even with minimal amounts of rain. Land slopes are eventually leveled by erosion, a circumstance that may or may not sufficiently solve the homeowners’ problems with basement flooding. Basement tiles have to be properly sealed during your home’s construction phase. Otherwise, water will easily seep through, especially after heavy rains and extreme weather conditions. It’s best to consult one of the leading basement repair contractors in the area if your basement becomes flooded even after a slight downpour. A blocked sewer system may cause flooding on your property, especially in your basement. If you suspect this to be the case, contact the local authorities immediately. Drainage systems should be installed properly to avoid leaks. Downspouts should be installed from your basement wall and at least 10 feet away from your home’s foundation, towards the street or your backyard. Accumulated debris and junk in clogged gutters block the flow of rainwater, causing leaks. The water also overflows to the sides and into your basement, resulting in flooding. 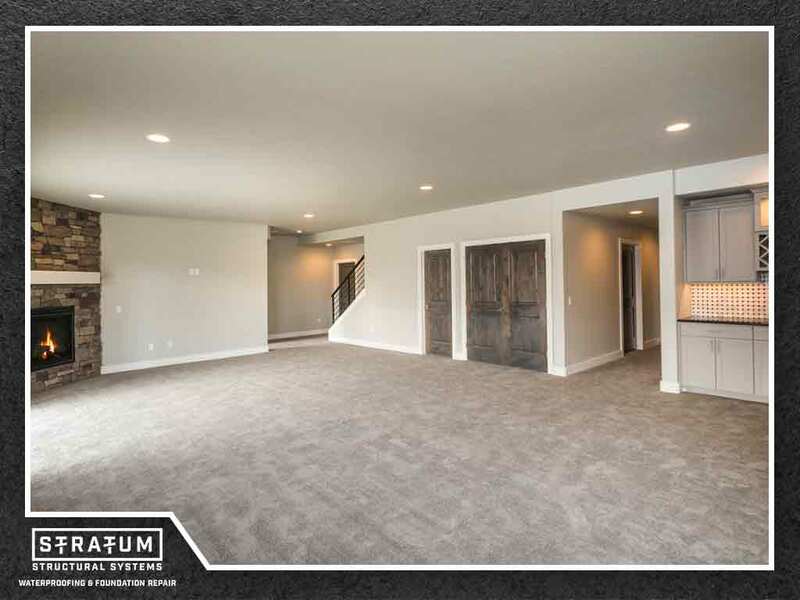 Stratum Structural Systems is committed to helping you achieve a flood-free basement. We also offer egress window repair services. Call us today at (314) 620-8153 to learn more about our products and services. We provide free service estimates. Copyright © 2019 Stratum Structural Systems. All rights reserved.